You’ve looked at the backyard, or at the poorly maintained concrete patio outside your office building and decided that it is time to install a paver walkway or patio. Taking on a hardscape install project of this magnitude is not an easy task. Planning, excavating, and a solid foundation are all essential steps in installing pavers that will last. Before beginning your project, it is important to come up with a solid plan. Graph paper, a garden hose, a yard stick, and a level are helpful tools in coming up with a plan. After sketching out a design on graph paper, use the garden hose to help create the shape of the walkway, patio, or pool surround. Measure straight lines with the yard stick and use the level to determine whether or not the walkway or patio is sloped. It is important to remember that for proper drainage and solid footing, a walkway or patio should slope about 1 inch every 5 to 8 feet. 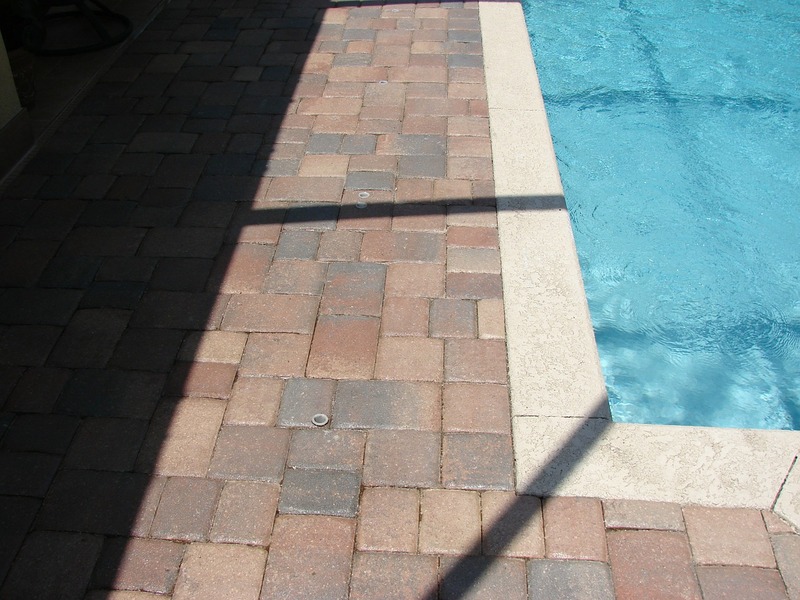 After carefully determining the size and shape of the paver pool surround, patio or walkway, it is important to excavate. You can use string and stakes to help create straight lines, and then use a shovel to pry up and remove grass or sod. Remember to remove enough dirt so that the paver install will be level with the surrounding yard, or concrete surface. After removing the top layers of landscape, it is important that the ground in which the pavers will be place on is solid. A plate compactor should be used to help compact the earth’s surface in this area. These can be rented from home improvement stores such as Home Depot. These first three steps take quite a bit of time for the Do-It-Yourselfer. However, the reward is worth the effort. If you are interested in having a paver walkway or patio professionally installed, contact Hutcheson Horticultural for a free estimate.